From concept to delivery – a one-stop video production source for discerning corporate clients. have deadlines & budgets that aren’t flexible. Commercials, Marketing Videos, Training Videos, Explainer Videos, Testimonial Videos, Demand Gen Videos, Trade Show Videos, Live Social Videos, Sales Videos, Event Videos, Web Videos, Features & Benefits Videos, HR Videos and more. A single point of contact for your video. Get your project on-time and on-budget. Your own on-line review and approval site. Options to keep your budget on track. Regular project updates so you’re never in the dark. Upfront pricing for your video. Award-winning creativity that makes you look good. Music City U.S.A. has been our home for 27 years. and around the world to capture compelling stories. or shooting in the slums of Manila. We go where the action takes us. 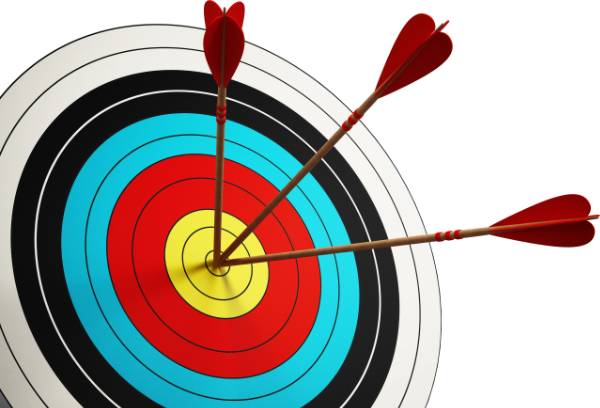 We believe great video happens when your message is on target – and we mean bullseye! That’s why we take the time to listen to your story, your concerns and what you want your video to accomplish. The end result is a video that is effective and engaging. Every client is Unique. Every project is Custom. That’s why we offer 3 Unique Levels of Service. Yep. You get cool tech, award-winning creativity and high-quality video production. But you get so much more. You get our process. Our process it like an iceberg – you may only see the top, but stability comes from just below the surface. And best of all, it makes the entire experience hassle-free for you! so you only have good surprises.